Now that fall is upon us, so is backyard cleanup. Late night bonfires and early morning swims are things of the past, and the falling leaves simply beg to be raked, don't they? Here are a few tips for organizing your fall cleanup and getting things done in the backyard. 1) Rake. First and foremost, you've got to get those leaves up from the ground. We know, it's a pain, isn't it? It seems every time you finish raking, a fresh batch of leaves have fallen! 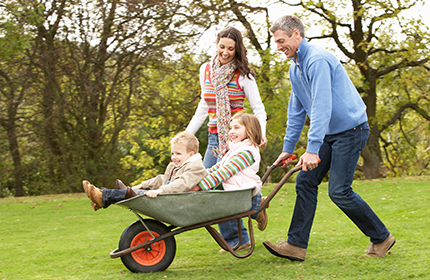 Raking, however, is great exercise, and it's also a great way to get the kids involved. If they're too young to rake, they'll enjoy jumping in the leaf piles you create, and the might even help stuff the piles into garbage bags. Why rake in the fall? Because once you get your first batch of snow, there's no turning back. An unranked layer of leaves can easily be matted down over your grass, smothering it from the nutrients and water it needs. That means dead patches come spring. Who wants that? Raking helps to avoid these dead patches, of course, but don't make yourself crazy getting every last leaf up from the ground. A few here and there will decompose and provide nutrients to your lawn. 2) Fertilize. Fertilizing is also an important step in fall cleanup. You know how you feel so great after a day at the spa (a massage, a facial, etc.)? Your lawn feels the same way when it gets fertilized, all warm and fuzzy and calm. We'd recommend using a slow-release fertilizer (once that releases over time), which enables that your grass can absorb the nutrients over time. You may think that the fall and winter are seasons during which you can neglect your lawn, but you couldn't be more wrong. 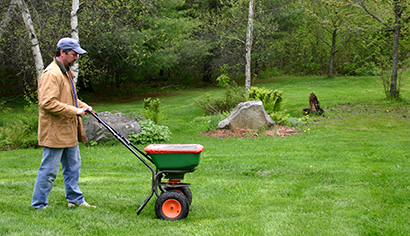 Fertilizing your lawn is the best way to keep it safe all winter long. 3) Weed. Oh, weeding - the most terrible of outdoor chores, if you ask us. 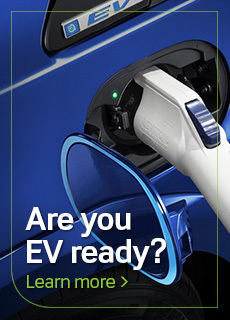 Might we suggest you stick the kids on this one? 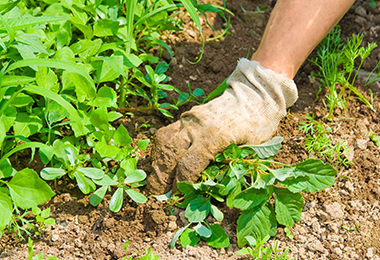 Weeding is the smartest thing you can do for your lawn come fall, and it's the one thing people tend to neglect (most assume you only need to worry about weeding in the summer when you're tending to your garden). 4) Water. Watering your trees and shrubs is an easy way to prevent tree and plant damage over the fall and winter. Dehydration is actually quite common in the cooler months, as most people assume that since it's not scorchingly hot outside, they don't need to worry about watering. Such isn't the case - you need to give your trees and shrubs a hefty drink of water before you put them to bed for the winter. 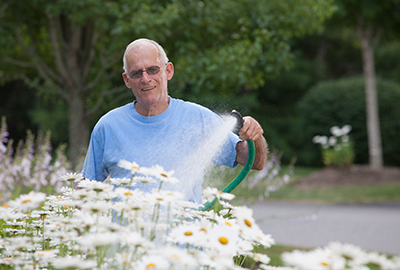 Use a root irrigator or a large hose to water them before the first freeze. 5) Clean. Cleaning out your garden is extremely important - anything that's left over will only rot and ruin the ground over the fall and winter months. Rotting veggies and fruits only provide a breeding ground for insect eggs. Yuck! You should also get rid of any diseased plants (they'll be no good next season either), but be sure to keep them out of the compost pile (you don't want them to spread elsewhere). And there you have it! 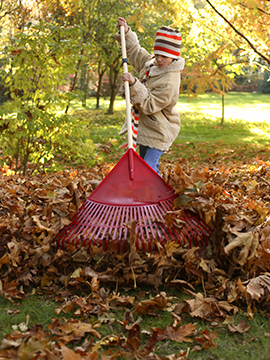 Five tips for backyard fall cleanup.